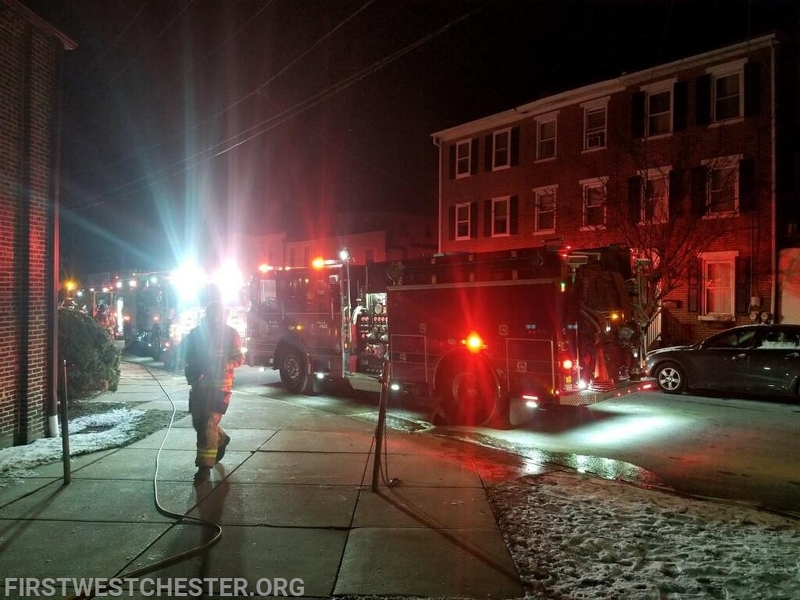 At 5:30am on Thursday, January 31 the West Chester Fire Department, along with mutual aid from the Goshen Fire Company (Tower 54) and Good Fellowship EMS, was dispatched to the Sharpless Works Apartments in West Chester Borough for an apartment building fire. Calls to Chester County 911 reported smoke and flames in an apartment. Assistant 53 arrived with smoke showing and reported a fire in a first floor apartment. 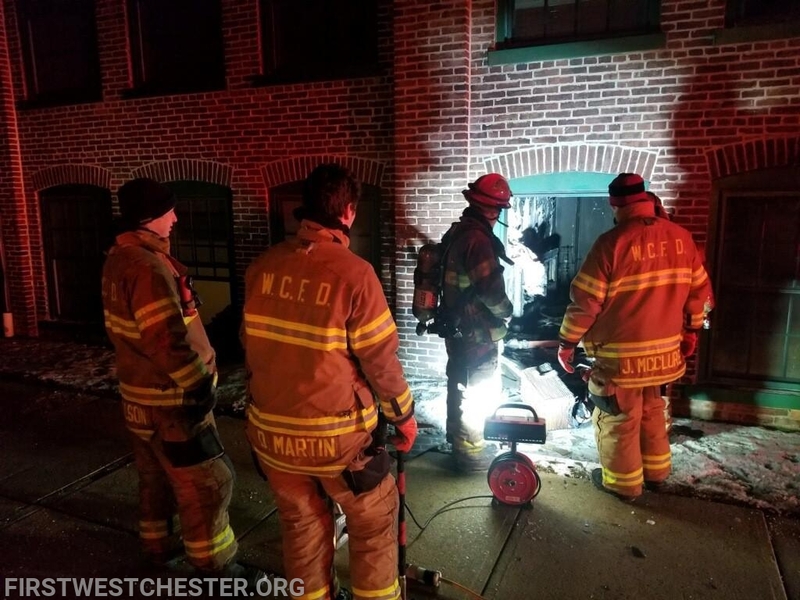 Engine 51-2 arrived as the second due engine, deployed a backup from Engine 52-2, and checked the apartment above for extension. 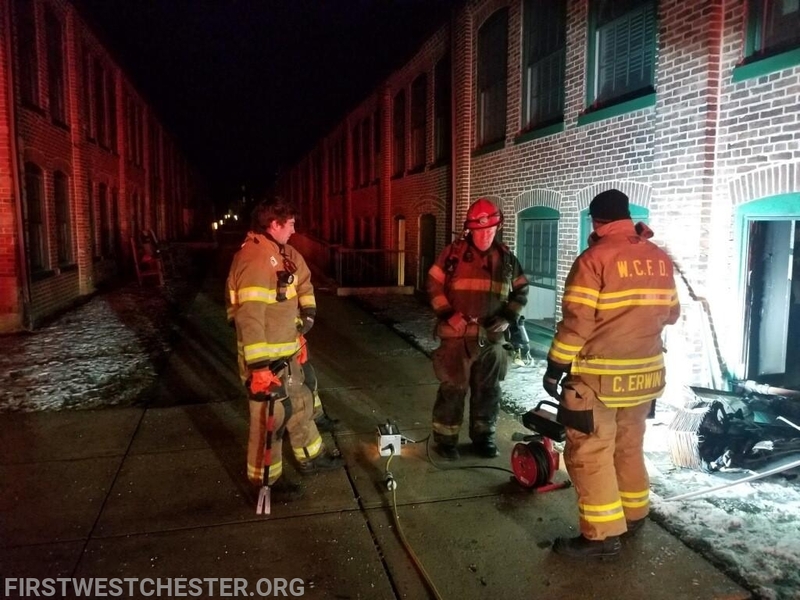 Luckily, the fire was held to the apartment of origin and there were no reported injuries. 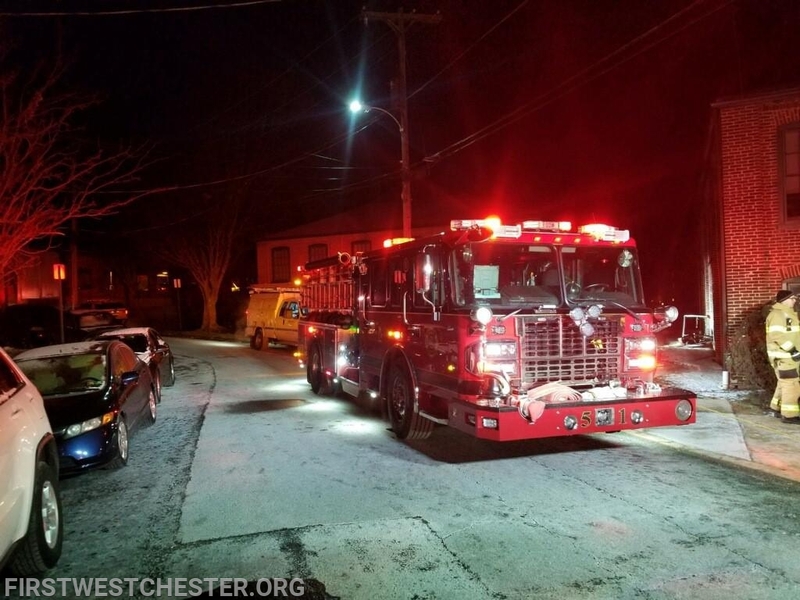 West Chester units operated in single digit temperatures for 2 hours before returning to service.